Why do dogs feel like eating has to be a race? We have no idea, but we solved the problem anyway. 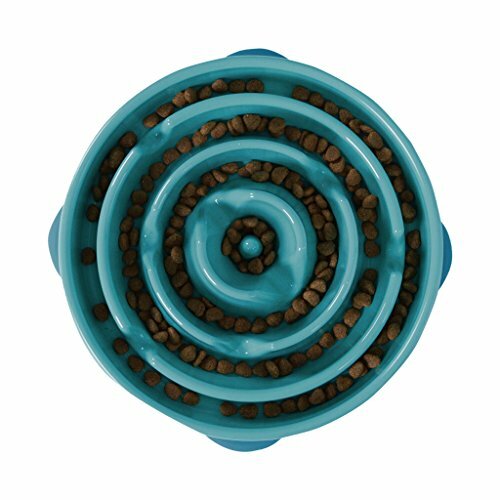 Featuring meal-lengthening ridges and mazes, Fun Feeders keep pups engaged for up to 10x longer at chow time, which improves digestion while helping furry friends eat at a fun, healthy pace! Available in 3 unique colors and designs, the Fun Feeder also features a slip-resistant base to prevent sliding and food spillage. Fun Feeders are top rack dishwasher safe, BPA, PVC & phthalate free, and available in mini (2 cups) and regular (4 cups) sizes. View More In Bowls & Dishes. If you have any questions about this product by Outward Hound, contact us by completing and submitting the form below. If you are looking for a specif part number, please include it with your message.